Dr. Zubernis is a licensed clinical psychologist who teaches courses in Counseling, Human Development and Group Dynamics. 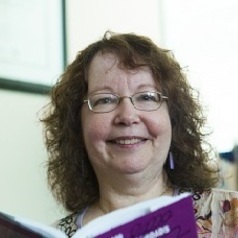 She has published four books on fandom and the psychology of being a fan (Fangasm, Fan Phenomena Supernatural, Fandom At The Crossroads, Fan Culture: Theory/Practice), as well as research in the areas of counseling college students, substance abuse, motivational interviewing, and working with children from divorced families. Dr. Zubernis and a colleague have a textbook coming out this spring on Case Conceptualization and Effective Interventions from Sage, and she is working on a new book about Supernatural and the ways in which the television show has changed the lives of both fans and the series stars. She is an unrepentant fangirl.